The sale includes vintage guitars, pedals and “personal relics”. 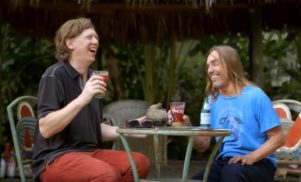 Sonic Youth are to sell guitars, gear and records from across their career on an official store hosted by online music retailer Reverb. The Official Sonic Youth Reverb Shop, which goes live on October 30, will be selling more than 200 pieces of studio gear, nearly 200 screen-printed show posters, “personal relics” and other memorabilia from their 30-year career. 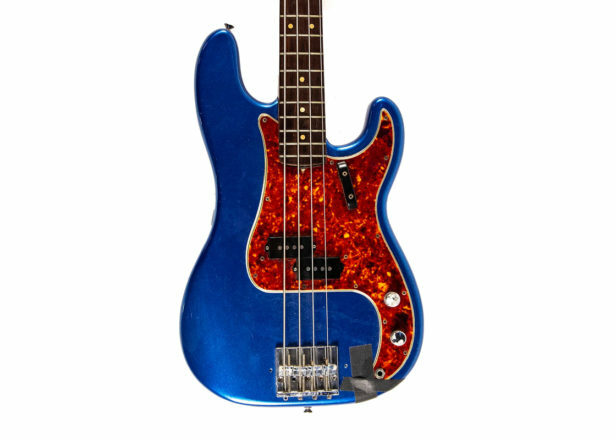 The sale will include several guitars owned by the band, including a ’70s Fender Telecaster Deluxe used by Lee Ranaldo, Jim O’Rourke and Mark Ibold from 1987 to 2009, as well as a blue Fender Precision Bass used by Kim Gordon and Thurston Moore from 1999 until 2010. The band will also be parting with more than 100 effects pedals, including a Klon Centaur Silver Overdrive used by Ranaldo. Although the gear goes on sale next week, Reverb currently has 300 exclusive test pressings, reissues, and rare records from the band’s private stock for sale now. Sign up at Reverb to be notified when Sonic Youth’s store opens. Earlier this year, Moby used Reverb to sell his private collection of records, drum machines and synthesizers.